Duke’s extracorporeal membrane oxygenation (ECMO) program is approaching 2,000 procedures while maintaining a survival rate higher than the national average for adult patients with cardiac and respiratory conditions requiring ECMO. With one of the largest and fastest growing ECMO programs in the nation, Duke continues to expand its reach by building relationships with regional medical centers across the southeastern United States. The clinical professionals who lead the ECMO initiative—the Extra Corporeal Life Support (ECLS) team—organize educational programs at regional centers and coordinate training exercises in a specialized clinical simulation lab. 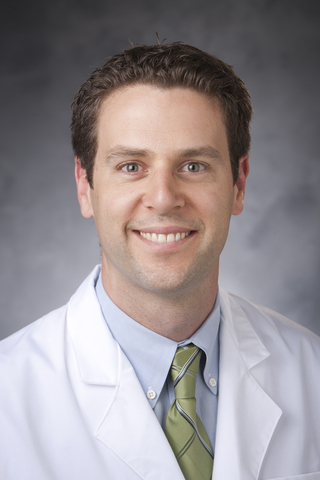 “We aggressively pursue this outreach to help us deploy lifesaving technical expertise across the entire southeastern United States,” says Mani A. Daneshmand, MD, a Duke transplant surgeon who directs the ECLS program. The ECMO transport team—a group of highly trained perfusionists and critical care nurses, respiratory therapists, paramedics, and EMTs—is activated multiple times each week to consult, triage, support, and transfer critically ill patients from regional hospitals. The number of ECMO procedures performed by the Duke ECLS team has increased by 50 percent since the program recorded its 1,000th patient in 2015. The technology has served neonatal, pediatric, and adult patients since 1990. Team members project the total number of ECMO procedures will surpass 2,000 during 2019. “We have evidence developed during clinical experiences that helps our team respond effectively in urgent situations,” says Desiree Bonadonna, MPS, clinical manager of ECLS and associate chief of perfusion services. According to data from the Extracorporeal Life Support Organization (ELSO), the international, non-profit health care consortium dedicated to the development of therapies supporting failing organ systems, the Duke ECMO team’s survival rates remain above average. Adult patients supported with ECMO have a 15 percent higher rate of survival for cardiac indications and a 12 percent higher rate for respiratory indications. Survival to discharge is the key outcome metric tracked by ELSO. ECMO often allows us time to reverse the heart and lung conditions that triggered the need for ECMO initially,” says Mani A. Daneshmand, MD, a transplant surgeon who directs the Duke Extra Corporeal Life Support team. “We can now provide therapies such as a durable pump to allow these patients to go home as we prepare for them to undergo a heart or lung transplantation. The use of ECMO in adults expanded significantly following the swine flu pandemic of 2009, which was the same year the Duke medical intensive care unit (MICU) began using ECMO to manage patients with acute respiratory distress syndrome. Craig R. Rackley, MD, medical director of adult ECMO in the Duke Division of Pulmonary, Allergy, and Critical Care Medicine, says Duke also experienced an increase in MICU referrals when mobile ECMO became more readily available for transport with Duke Life Flight in 2009. Duke’s ambitious plans for ECMO expansion are supported by the ECLS team’s extensive training and resources—advantages that are distinctive to a large academic medical institution supported by a growing organ transplant operation. John M. Reynolds, MD, a pulmonologist and medical director of the Duke Lung Transplant Program, says the ECMO program has enabled transplant for patients who might not have survived without access to the technology.